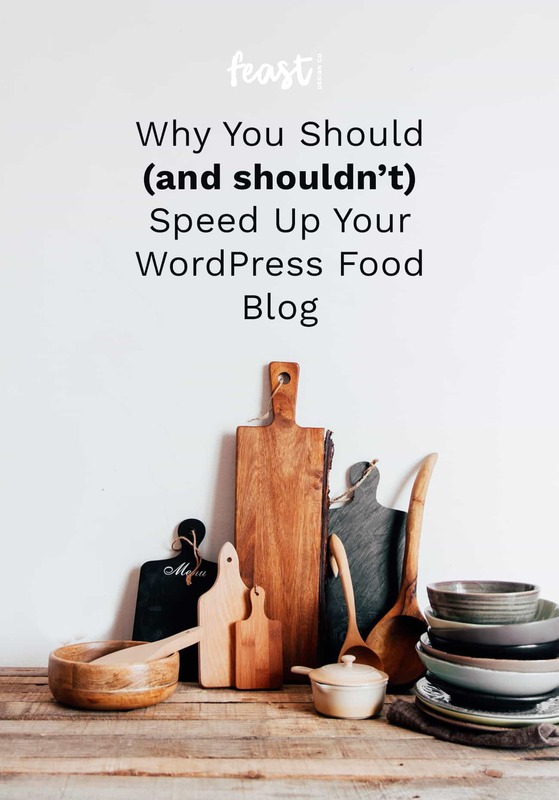 All About Food Blog Pagespeed Load Times - Feast Design Co. Your goal here is simply to speed up how fast your pages load, not chase some arbitrary pagespeed score. Pagespeed scores have no relation to reality. Anything above an 80 in Google’s pagespeed test is good, and at that point you can move on to more important things. You wait 30 minutes for your meat to marinate. Fifteen minutes for the water to boil. And 10 minutes for your cake to cool on a rack. But, how long do you wait for a web page to load? According to an Akamai study, 47% of people expect a web page to load in two seconds or less. And 40% will abandon a website if it takes longer than three seconds. Ouch. (Which explains a lot. )Sure, patience is essential for many aspects of life, especially in food blogging. But your WordPress food blog shouldn’t be one of them. A good website speed can improve your ranking on Google and increase your conversion rates. However, here at Feast Design Co. we believe your goal shouldn’t be to have a faster website, but to have a site that achieves your objectives while also being optimized for speed. You’re probably familiar with tools that test your wordpress website speed, like Page Speed Insights and Pingdom. A week or so ago, we were demoing a new WordPress food blog theme, and our PageSpeed Insights scored us at a 57/100. But, we got a resounding A on Pingdom. That’s like if Chef Ramsey said your chicken was dry, but Chef Tosi thought it was moist. These website speed tests aren’t created equally. You can learn about the differences here. That’s why you can’t take these grades as a pass/fail for your WordPress website. And most importantly, pagespeed score is not an important metric to chase – use it a a gauge to make sure you’re above the average, and move on to more important things. For us, the PageSpeed score is mostly irrelevant. 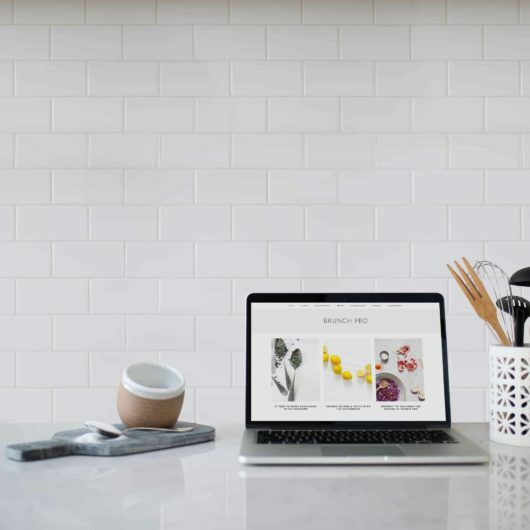 Our end goal was to create a simple food and lifestyle blog theme that supported optimization goals, while also supporting other goals like ad revenue and social engagement. And that outweighs the grade — we’d rather have the Instagram feed because we know that’s what our users want too. Interestingly, when testing with Google’s Test My Site tool, our demo sites scored well in the green. This was confirmation that our efforts to build a theme that supported performance optimization were going in the right direction. When testing against other Genesis child theme demo sites, ours are definitively faster than the others (interestingly our oldest theme, Foodie Pro, also still gets a better score than most of our competitors). Instead, you need to determine if the criteria for the grades support your website goals first. Maybe getting the perfect grade means you drop that Instagram widget? Or pay for premium compression and caching plugins? Or hire someone to do Critical CSS for you? But, that may not be a winning combination for everyone. So, before freaking out over a low score, lay down the framework for your website. Do you want more ad revenue, a faster site, or engagement? It’s up to you, bugaboo. Choose tools that will grade and support those goals. And sometimes you have to ignore the experts and do what’s right for your blog. I feel like it’s important to give this warning: don’t listen to SEO people (even if that includes me!) that tell you that you need to complete a checklist of optimization tasks and hire their “trusted” experts if you ever want to be found by Google. They use scare tactics to make you believe that this stuff is far more dire than it is. 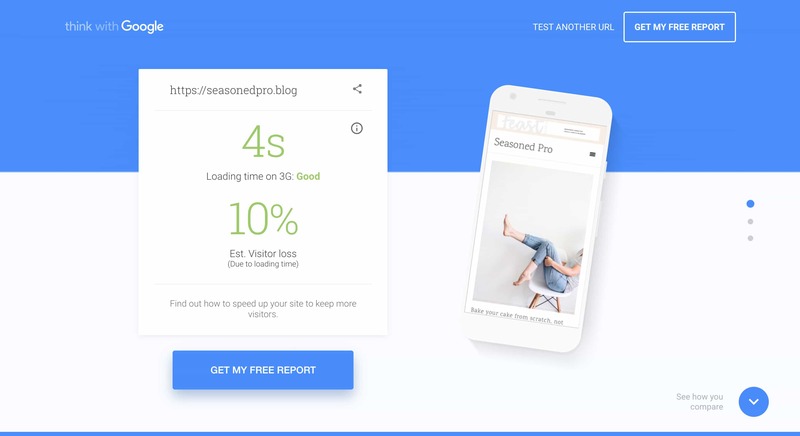 It was heartbreaking to have a conversation with a blogger the other day who paid a well-known SEO guy, who likes to tout these alarmist claims, a heck of a lot of money, and followed all of his recommendations down to exactly what plugins she should use–only to get a poor speed score of 12 seconds. 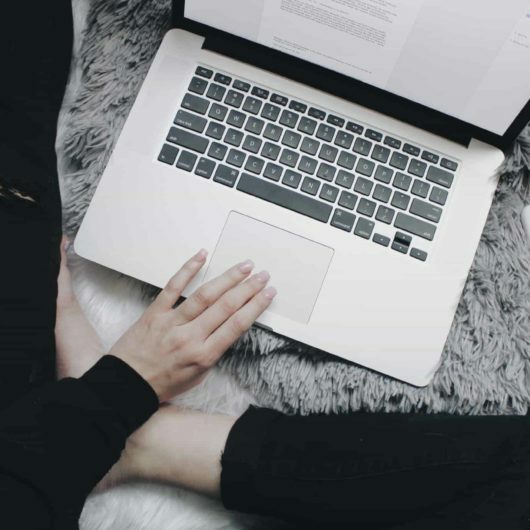 Yes, we all want optimized and fast websites, but don’t let that hunt for speed distract you from your blog’s purpose. The purpose comes first, the speed comes next. Once you’ve figured out the purpose, we can help you meet those goals and the need for speed, without getting you off-track. Go forth and do you. Now you know our theory. Share with us on our Facebook page what tools you LOVE for speeding up your WordPress website.